Angelina (Angie) had a passion for dance all her life. She has been a performer since the young age of 13. She actively participated in Sweet Sixteens by performing and choreographing the moves to salsa on1, merengue and bachata. 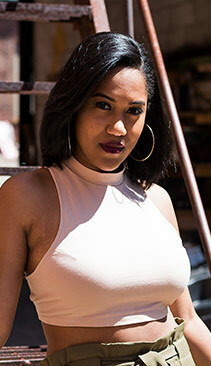 She later danced for various local hip hop groups in Rhode Island while teaching hip hop in summer programs for students between the ages of 8 – 12. Angie danced hip hop for 10 years before being introduced to salsa On2. She began taking lessons with Carlos and after a couple of months became a member of Mambo Pa Ti Dance Company. 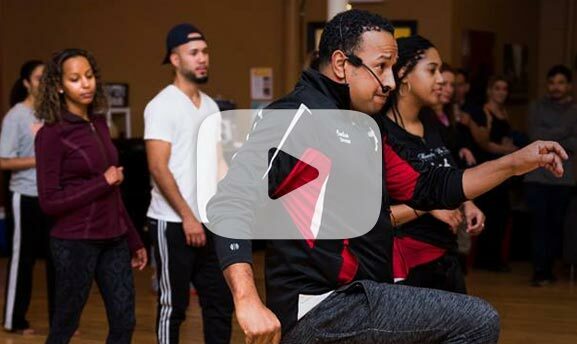 Within only a year of dancing salsa, Angie began assisting Carlos with his students classes and continues to learn and grow as a performer. Her ultimate goal is to become a well known impeccable salsa dancer and performer.